The Fayette County Extension Office 4-H Program recently showed off various events throughout the year that participants of the program can enjoy during their time. Pat Brinkman, OSU Extension Fayette County Family and Consumer Sciences, held the “Nutrition Bowl” that pits two teams against each other in a trivia based game during the week of the Fayette County Fair. Also during the fair, exhibitors have a chance to show a variety of animals — including chickens, dogs, horses, steer and even rabbits — among the large assortment of other projects not animal related, such as baking, writing and sewing. 4-H Camp at Camp Clifton is a favorite among 4-H members as the week gives the kids a chance to make new friends and enjoy the outdoors. This basketball game saw counselors and campers go head-to-head. Many nights are filled with important lessons or games for the participants to enjoy from dawn until dusk. One funny game tasks one person to “propose” to another, if the person being proposed to laughs at any point, they are it and must propose to another. The game helps to break the ice and leaves many laughing for hours. https://www.recordherald.com/wp-content/uploads/sites/27/2019/02/web1_IMG_8033.jpgThe Fayette County Extension Office 4-H Program recently showed off various events throughout the year that participants of the program can enjoy during their time. 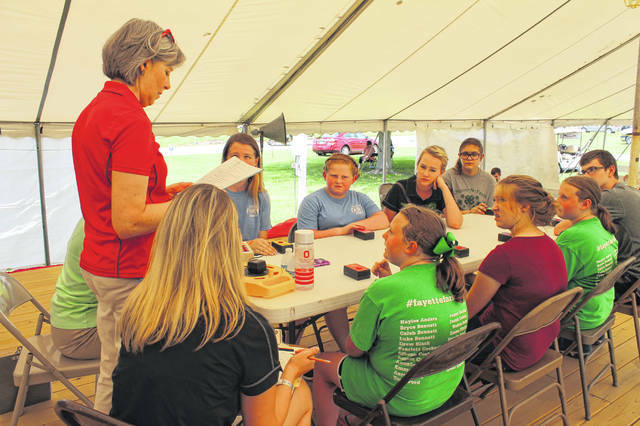 Pat Brinkman, OSU Extension Fayette County Family and Consumer Sciences, held the “Nutrition Bowl” that pits two teams against each other in a trivia based game during the week of the Fayette County Fair. 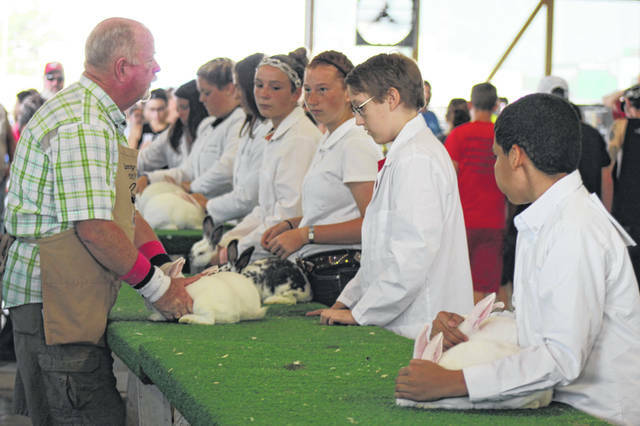 https://www.recordherald.com/wp-content/uploads/sites/27/2019/02/web1_IMG_8072.jpgAlso during the fair, exhibitors have a chance to show a variety of animals — including chickens, dogs, horses, steer and even rabbits — among the large assortment of other projects not animal related, such as baking, writing and sewing. 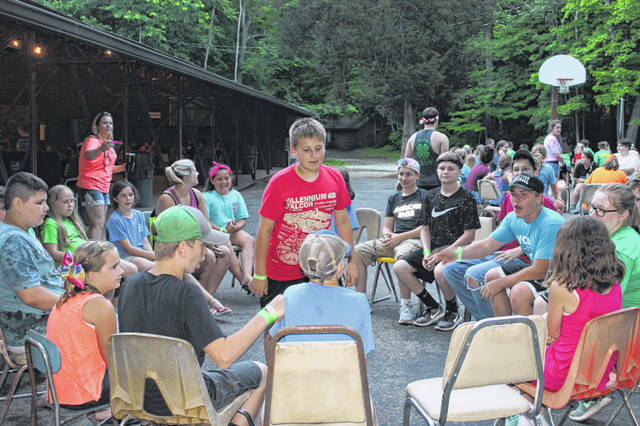 https://www.recordherald.com/wp-content/uploads/sites/27/2019/02/web1_IMG_8728.jpg4-H Camp at Camp Clifton is a favorite among 4-H members as the week gives the kids a chance to make new friends and enjoy the outdoors. 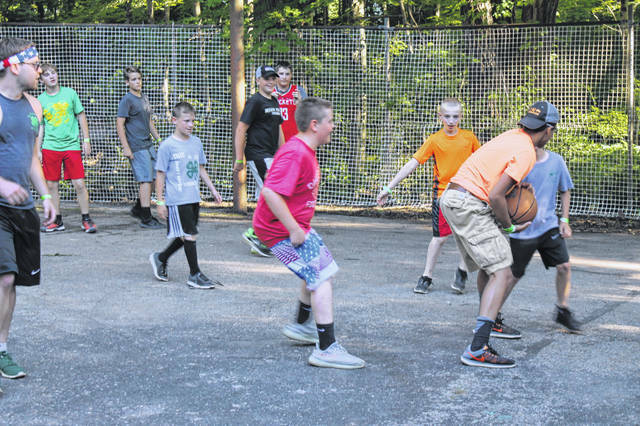 This basketball game saw counselors and campers go head-to-head. https://www.recordherald.com/wp-content/uploads/sites/27/2019/02/web1_IMG_8755.jpgMany nights are filled with important lessons or games for the participants to enjoy from dawn until dusk. 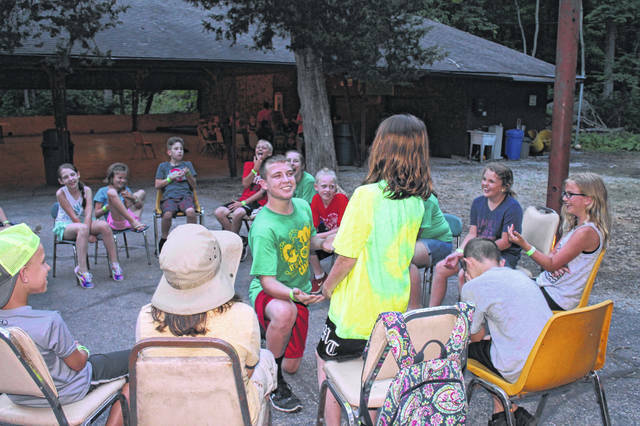 https://www.recordherald.com/wp-content/uploads/sites/27/2019/02/web1_IMG_8770.jpgOne funny game tasks one person to “propose” to another, if the person being proposed to laughs at any point, they are it and must propose to another. The game helps to break the ice and leaves many laughing for hours.